As we get older we may need help with our daily living activities. The frailty of older age or some illnesses may make it harder to live independently without help from a spouse, family or aged care service provider. Asking for help does not mean you will have to move out of your home. The government now subsidises more home and community care packages which might allow you to reduce the burden on your spouse and family but continue to receive the care you need in your own home. 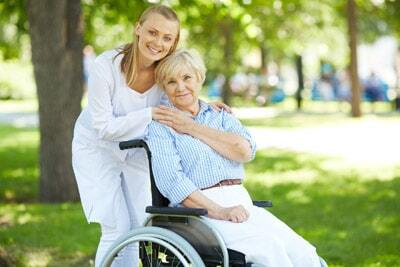 You can also consider topping up your care using a variety of non-funded private providers. For some people a move into residential care where you can be supported 24 hours a day might be a more suitable option. However, the important thing to realise is that you have choices. You also need to understand what fees are payable and whether you have any opportunities to reduce the amount you pay for this help. This is where advice is important. An income-tested fee paid by care recipients who receive a part Centrelink/Veterans’ Affairs pension or are self-funded. When calculating the fees, assessable income includes payments received from Centrelink or Veterans’ Affairs as well as assessable income from assets and investments using Centrelink income test rules. For example, cash, term deposits and shares will be assessed under deeming rules. If you are able to structure your investments in a way that reduces assessable income this may reduce the fees you will be asked to pay. But it is always important to review your full situation to ensure that sufficient cash flow can be generated and to determine the impact on your net wealth, whilst taking into consideration the prospect that you may need to move into a residential aged care facility in the future. We will meet with you at your home at no additional cost. This is our unique service and demonstrates our dedication to helping you feel comfortable in making the most suitable decision for you and your family. During the meeting we will understand your situation by capturing relevant income and expense, assets and liabilities data. We will guide you through the financial aspects and provide during the meeting information specific to your situation on costs of obtaining at home care. As part of this service, we will complete the relevant Centrelink documentation, which can often be a significant burden for those requiring care. Within 48hrs of meeting, we will provide you with a written Strategic Statement of Advice that covers scenario’s discussed during the meeting. The cost to provide this advice is $880 inc gst for a single and $1,210 inc gst for a couple both receiving care.